The Fujitsu fi-6800 document scanner boasts a small design. 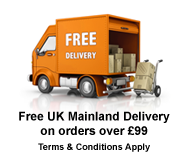 It is able to fit snugly on or under your desk for easy access and guarantees to not take up very much room. 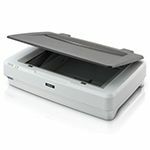 But although the FI-6800 may be small - it has dimensions of a mere 18 x 17 x 12 inches - the document scanner does not short-change its users on performance. 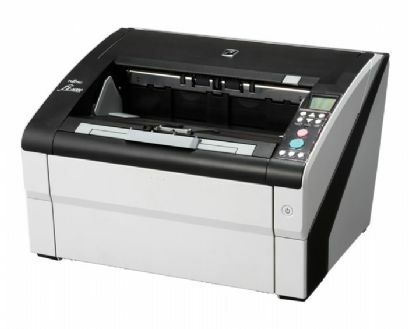 It can maintain speeds of up to 130 pages per minute with high resolutions and excellent colours. The Fujitsu scanner also enhances the scanned image when necessary by utilising intelligent image correction such as auto colour detection and background smoothing. 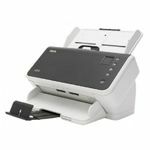 The Fujitsu FI-6800 document scanner is therefore perfect for any small to medium sized business or any home that uses scanning technology on a regular basis. 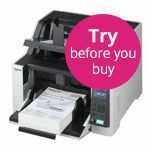 The feeder can hold up to 500 A4 and A3 sized documents, helped by an adjustable height so that you can customise your scanner to whatever depth of papers require scanning. It will also process the documents quietly, without the noise that a large scanner will make. The minimalist but robust Fujitsu FI-6800 scanner is compatible with most of the popular Windows operating systems - Windows XP, Windows Vista, Windows 7, Windows 7, Windows Server 2008 and Windows Server 2012. It will not be compatible with Mac software. It is also able to work with a variety of languages. 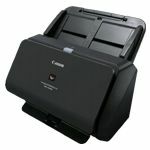 Fujitsu is one of the leading names in document scanning technology and has been developing them for many, many years. 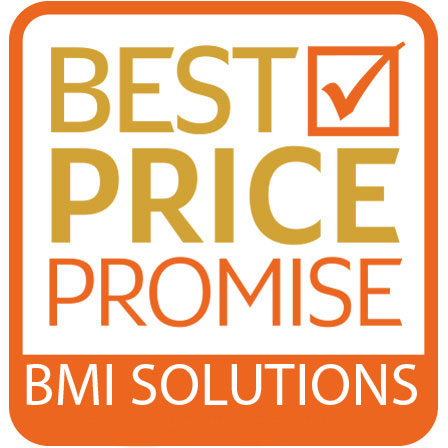 They are known for being on the cutting edge when it comes to new software and features relevant to scanners, and are famous for their customer support.